Many people show their support for a political candidate by placing yard signs in front of their home. 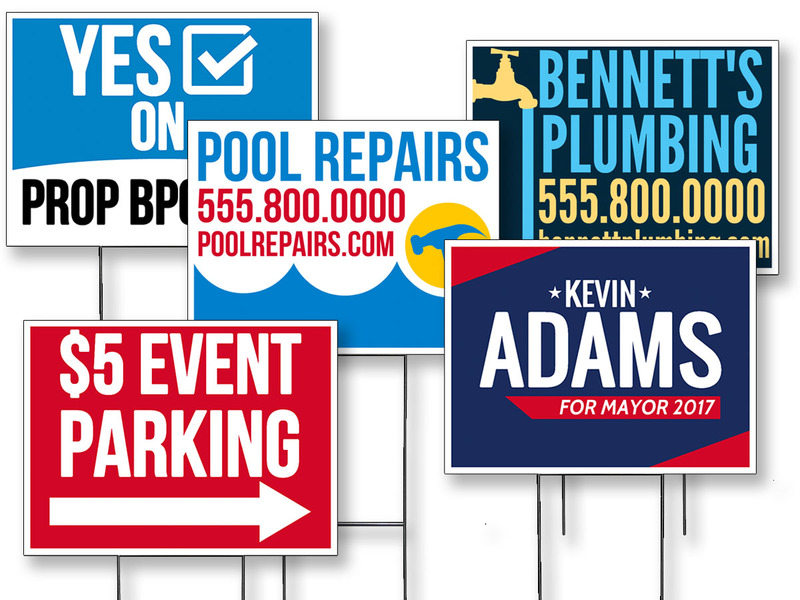 Yard signs are a great way for blanketing roadways with your messages or directing crowds into polling locations on election day. Standard sizes for cardboard signs are 14″ x 22″ and 22″ x 28.” The most popular sizes for corrugated plastic yard signs are 12” x 24”, 16” x 24” and 18″ x 24.” Yard signs can be printed digitally for small orders or on our screen press for large, saturating orders; both options provide UV resistances and bright colors. Yard signs are more than political. Showcase a new building remodel, special event parking, realtor open house or other unique ideas.